Dr. Ceceña has been an integral member and leader of the Oasis of Hope medical staff. Dr. Ceceña’s tenure at Oasis of Hope has given him knowledgeable insight into multiple areas of a patient’s care, from patient admittance, to home care treatment, patient follow-up, and now as the Director of Oncology. He obtained his M.D. 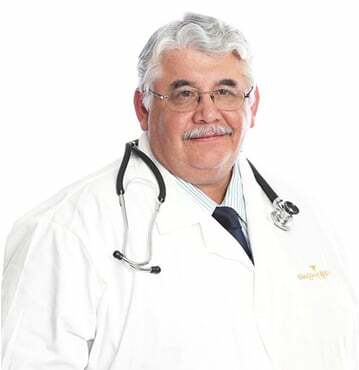 degree from the School of Medicine of the Autonomous University of Baja California in 1984 and served in several private hospitals and public health institutions before joining the Oasis of Hope Hospital medical staff in 1993. One of the reasons for Dr. Ceceña’s long tenure at Oasis of hope is his unique approach to patient care. Dr. Ceceña is deeply committed to his patients and is well known for his passion regarding the medical, emotional and spiritual needs of patients.